I’m not one who can commit to a full face of makeup, in fact, I don’t even want to. So a quick, easy, natural looking makeup look suits me down to the ground. Today I thought I would share the products I use on a daily basis to achieve a simple, glowy, natural makeup look that’s perfect for everyday. It’s great because it gives you a fresh, no makeup-makeup effect, but it just blurs any imperfections and just makes you look a bit more ‘put together.’ As these products give you a great base, this can easily be dressed up to look fancier using eyeliner, eyeshadows and/or lip products. Am I the only one who hates the feeling of foundation on their skin? It feels like I’m wearing a mask and I’m not even sure how people function when their skin can’t breathe. That’s where the wonder that is tinted foundation comes in. And I’ve found the perfect one. The one that makes your skin look glowy, that blurs imperfections, that feels like you have nothing on your skin, and is the perfect colour match for me. 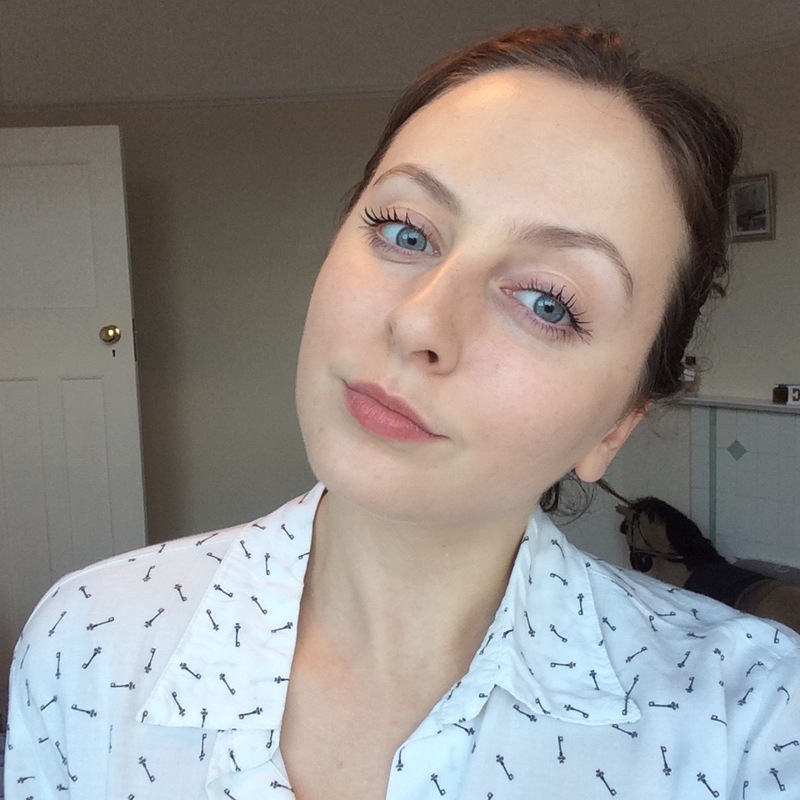 bareMinerals Complexion Rescue tinted moisturiser is my go-to base. I apply the tinted moisturiser with the Real Techniques Stippling Brush , it’s the perfect combo! I like to apply a light layer of powder to my T-zone, I use the Rimmel Stay Matte Pressed Powder . I find that a light application at the beginning of the day is enough to last the whole day, it’s light enough to allow my skin to still look natural and healthy without it being too shiny. I apply this powder with a big fluffy face brush. To my cheeks I add Girl Meets Pearl highlighter from Benefit , this is a gorgeous pearl pink highlighter that adds to the healthy, glowy look I’m going for! Lastly, on to my eyes, I always curl my eyelashes, I find it makes such a big difference. I’m considering getting a lash lift at some point, but for now an eyelash curler must do the job. A coat of mascara completes the look. The one I am using at the moment and am loving is the Soap And Glory Thick And Fast Mascara . It stays on all day and gives a really nice effect that stays put. And here’s all of that good stuff on my face! As you can see, its just a nice, clean and fresh and healthy look. I like that you can still see my skin underneath, but any imperfections have been blurred. A swipe of lip balm and I’m ready to go! This whole routine takes me about 5 minutes and then I’m good to go for the day! Of course I’m more than happy to go without makeup, but it’s nice to feel a little bit more ‘put together’ when I want!